Lakewood Ranch pet-friendly condo with 2 deeded covered parking spaces!! Great location near Lakewood Ranch Main Street. This spacious condo with luxury finishes is move-in ready. Inviting and spacious grand entry foyer, open floor plan, crown molding throughout, solid panel doors, custom blinds, black stainless French style refrigerator, wood cabinets, granite counters with breakfast bar, large pantry, large utility room with extra storage, and ‘California Closets’ storage systems in walk-in closets are just some of the beautiful features in this unit. Overlooking the lake you will enjoy privacy and beautiful sunsets from the balcony. This unit comes with 2 parking spaces under building and a storage unit. Other great features include hall guest closet, architectural built-in decor niches in entry and bathrooms, high end appliances, and high ceilings. Located near pool, club house and fitness center. Mail and packages delivered to building lobby with code/key entry. Lake Vista is a gated community with upscale design and landscaping. A great value here! Call today for private showing. 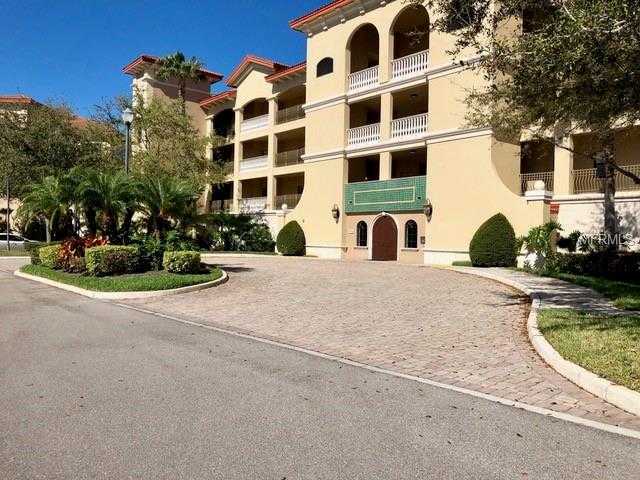 Please, send me more information on this property: MLS# A4433003 – $299,900 – 7612 Lake Vista Ct #204, Lakewood Ranch, FL 34202. I would like to schedule a showing appointment for this property: MLS# A4433003 – $299,900 – 7612 Lake Vista Ct #204, Lakewood Ranch, FL 34202.